Course designed to help authors create a four-month book marketing plan in less than one hour. 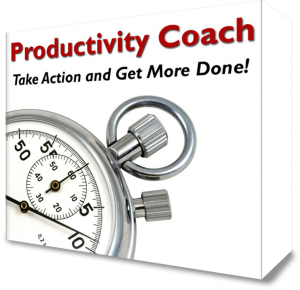 Become more productive and get things done with our Productivity Coach Software. 1) Video and 2) Slide Handouts, as well as an 3) Action Guide.